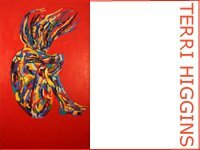 "The Summer Gallery Boutique: Jessica Dunn, Fabrizio Tizallo, Meinke Flesseman"
Corte Real Gallery during this summer shows Jessica Dunn: New Summer Paintings, Fabrizio Tizallo: Shatter Lighting and Mainke Flesseman's Hot Colours. The Gallery represents a group of women and men who share the simple and honest 'arts and crafts' approach to creativity. The joy of mixing paint in vibrant and exciting colours, the love of shape, form and composition. The fun of collecting beach wood or rescuing wood just thrown away for furniture making and for picture framing. Everything is recycled. Corte Real Galleryis a relaxed atmosphere in the perfect country-side with the best of international art. Jessica Dunn has been a Premiere Portfolio Artist at absolutearts.com since 2001. Jessica, who studied fine art at Kingston Polytechnic in London, moved to the Algarve in 1986 to live and work. She has exhibited widely in both solo and collective shows in Portugal, England and Italy including the prestigious Eaton Gallery in London,International Biennale of Contemporary Art in Italy, 2003 and Galeria Cogito in Set�bal. View more of her work at: http://www.absolutearts.com/portfolios/j/jessicadunn/.